If you want to knock seconds or even minutes off your personal best and make the leap into the top performer territory you have to include simulated altitude training into your regime. It is no longer a secret in the success of the major athletes around the world, they all know they have to include altitude training if they want to be competitive at the top level. Now you can get the effects they do for a fraction of the cost, and surprise the hell out of your team mates or local level competitor. 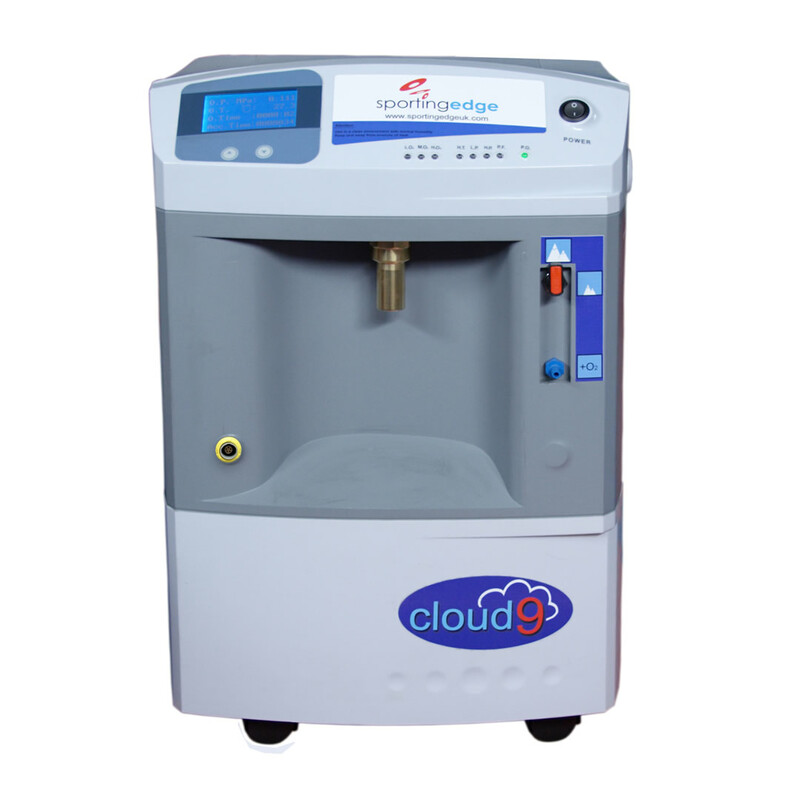 The Cloud 9 Altitude Generator (Patent number GB2513371B) is a plug and play altitude generator designed for the individual user. Suitable for use at home, gym or training facility. The Cloud 9 Altitude Generator altitude training equipment is for anyone wanting to increase their performance. Altitude training equipment is known to boost performance significantly and this affordable equipment now makes it possible for anyone who is serious about their sport, even if at an amateur level, to benefit from professional standard equipment. Ideal for use in conjunction with a sleep tent to take advantage of overnight acclimatisation. This technique is increasingly being used by top athletes to get the maximum effect of altitude training techniques.